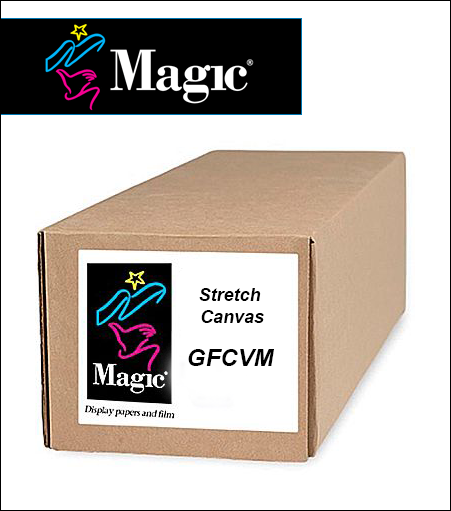 Magic® GFCVM is an acid-free, matte finish, artist stretch inkjet canvas designed for long-term, fade resistant fine art or photo reproductions when imaged with solvent inks. The polyester/cotton blend inkjet canvas has a specifically designed coating, which delivers superior color gamut and resolution. GFCVM has the added bonus of water resistance when printed with solvent inks.